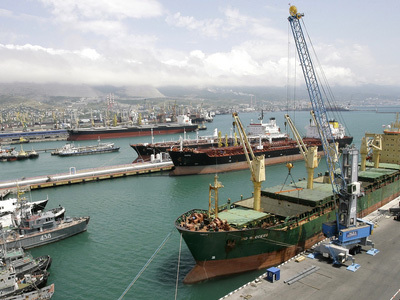 Russia’s largest sea port operator, Novorossiysk Commercial Sea Port, has posted a 9M 2010 net profit of $232.9 million under IFRS. The bottom line is up year on year from the 9M 2009 net profit of $508.2 million, with 9M adjusted EBITDA rising 2.3% year on year to $362.1 million, despite revenues declining 1.7% year on year to $499.3 million. NCSP says the results reflect a 3.9% reduction in cargo traffic volumes, with the onset of a ban on grain exports in the wake of Russia’s summer drought, offset by a 59% jump in container handling revenues, a 36% increase in timber handling revenues, and a 43% increase in bulk mineral fertilizer handling revenues.